Last Friday night Sergio Tee’s live set was great. Party people were enjoying the music a lot and when the lights turned on at 05.00 AM Sergio Tee got a lot of compliments from some. We can say it was a good night and a huge part of Tee’s set is recorded. So… here it is. A lit’l Easter present! The first live set of Club Yolo, which is over 2 hours. It contains a lot of vocal club mixes and some rare and great classics. “Playing at Club Yolo is big fun because of its intimate atmosphere. It always feels like coming home”, explains Sergio. _ The Live Mix Volume 1 is released on the 1st of April. _ It contains uplifting vocal club mixes, fresh tunes and classics. _ Approximate time is 2 hours 28 minutes. 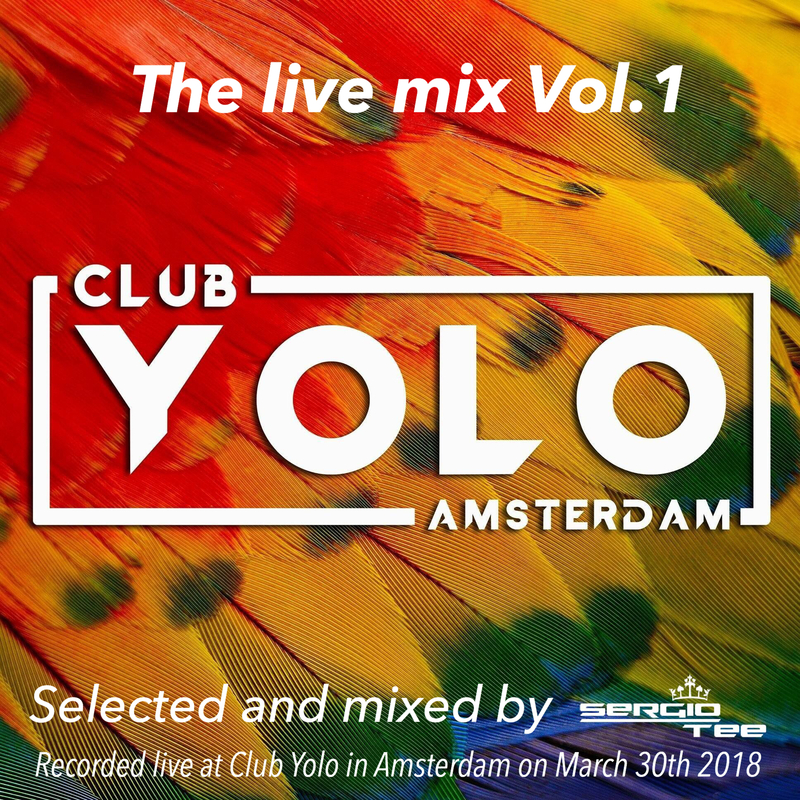 _ This live set is recorded live at Club Yolo in Amsterdam on March 30th 2018.